Today we have a special visit from David Kalish, author of "The Opposite of Everything." He has graciously offered to share his journey in writing this very provocative, engaging and important novel. Once you learn about the trials and joys he experienced you will want to go out and get his book. Thank you David and good luck with the sale of your book. I wish you many readers. Next Sunday is Mother's Day and here is a perfect gift. 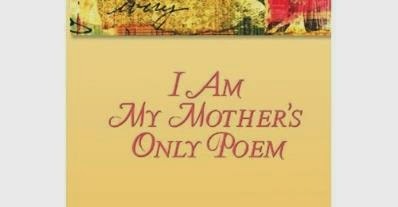 I wish so much my mother was still around to see my poetry collection and know that her daughter's dream has come true. I included in this collection poems about family and it opens and closes with poems about my mother. It was a joy to write, revise and order these poems and to create art work to go with them. I do love combining my poetry and art and I'm looking for other ways to continue this blend of my two passions. It dawned on me how many of us bring our mothers flowers for Mother's Day and that these gifts were carry in our gentle hands, and offer with our hearts, fade and wilt in a few weeks. How about giving your Mom a gift that won't wilt. A gift she can open again and again. Because I am sure many of the sentiments I share in these poems about my Mom and about family are feelings you can relate to.